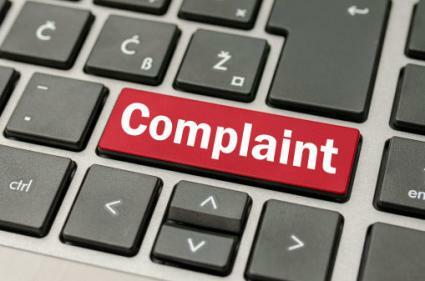 While it's certainly preferable to have satisfied employees who don't have any complaints, problems sometimes develop. It's generally a best practice to have an open door policy that encourages employees to speak to managers or HR representatives regarding any complaints they may have, but it is also a good idea to provide a standard form that employees can use to submit complaints in writing. The printable document provided here is an example of a typical employee complaint form that can easily be customized to meet the needs of any organization. To use the form, click the image. The form will open as a PDF file that can be saved, edited and printed. If you need help accessing the form, see this guide to Adobe printables for help. Once the form is open, review the information and make any edits needed so that it suits the needs of your organization. Save the form and make it available to employees, either by having printed copies in a central location with other business forms or by providing the document in PDF form to download via the company intranet. When complaints come, it's important that you deal with them promptly, thoroughly, and in a manner that is consistent with your company's policies and procedures. If you receive a complaint from a worker, it's advisable to review your employee handbook to make sure you have a clear understanding of what employees have been told regarding how to expect complaints to be handled.